Every month the Aria Poker Room in Las Vegas plays host to a series of high-stakes tournaments. As March of 2017 came to a close the bustling room once again was the site of two star-studded $25,000 buy-in no-limit hold’em events. The first event of the weekend got underway on Thursday, Mar. 23 at 2 pm local time. A total of 31 entries were made in the $25,000 Aria High Roller 54, creating a prize pool of $744,000. The top five players made the money in this tournament, with the largest payout of $342,240 going to eventual champion Scott Seiver. This was Seiver’s second final table finish of the year, having placed second in another Aria event in February for $232,632. As the winner of this event Seiver scored 420 Card Player Player of the Year points. Seiver defeated Bryn Kenney heads-up for the title. Kenney was at his ninth final table of the year, earning $186,000 for his latest big score. The Long Beach, CA native was far from done for the weekend, though. The second $25,00 event, the Aria High Roller 55, attracted 30 entries to create a $720,000 prize pool. Once again the top five finishers made the money, and once again Bryn Kenney found himself at a final table. This time he was part of a three-handed deal that saw him finish in second place for $211,000 and 350 POY points. With ten final tables in 2017 Kenney now has 2,896 total POY points and $2,855,121 in year-to-date earnings. As a result he has moved into second place on the overall POY leaderboard, which is presented in 2017 by Commerce Hotel & Casino. Kenney has now cashed in five of the last six Aria High Roller events played. His lifetime live tournament earnings now exceed $14.7 million. 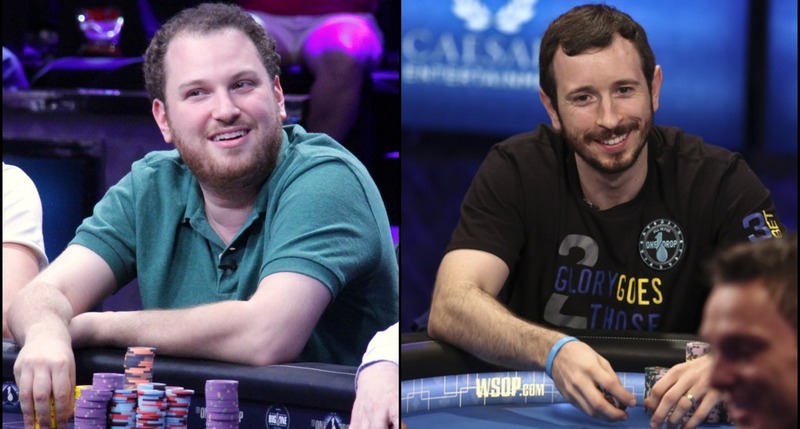 While Kenney’s back-to-back seconds might have stolen some of the limelight, the title and top payout in this second event were in fact awarded to Brian Rast. This was his second title of the year, having won the $50,000 Aria Super High Roller 15 back in February. For this most recent victory he earned $237,555 and 420 POY points. Fresh off his win on Thursday, Scott Seiver followed up his title run with a third-place finish for $163,445. Over the weekend he cashed for just over $500,000 to bring his career earnings to $22,438,182. He currently sits in sixth place on the all-time money list.